To claim this profile, please confirm you are Amber Nolcheff. To follow this profile, please let us know your relationship to Amber Nolcheff. RESULTLoss Varsity softball vs. Yuma Catholic. The Valley Christian varsity softball team lost Monday's home conference game against Yuma Catholic (Yuma, AZ) by a score of 19-6. RESULTWin Varsity softball @ Odyssey Institute. The Valley Christian varsity softball team won Thursday's away conference game against Odyssey Institute (Buckeye, AZ) by a score of 15-4. RESULTWin Varsity softball @ Horizon Honors. The Valley Christian varsity softball team won Tuesday's away conference game against rival school Horizon Honors (Phoenix, AZ) by a score of 17-2. RESULTLoss Varsity softball @ Paradise Honors. The Valley Christian varsity softball team lost Monday's away conference game against Paradise Honors (Surprise, AZ) by a score of 23-0. RESULTWin Varsity softball vs. Bourgade Catholic. 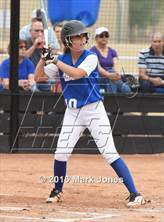 The Valley Christian varsity softball team won Friday's home conference game against Bourgade Catholic (Phoenix, AZ) by a score of 8-5. RESULTLoss Varsity softball vs. Paradise Honors. The Valley Christian varsity softball team lost Tuesday's home conference game against Paradise Honors (Surprise, AZ) by a score of 24-0. RESULTLoss Varsity softball vs. Fountain Hills. The Valley Christian varsity softball team lost Monday's home non-conference game against Fountain Hills (AZ) by a score of 9-6. RESULTLoss Varsity softball @ Yuma Catholic. 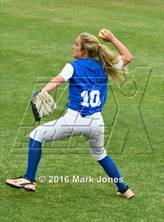 The Valley Christian varsity softball team lost Friday's away conference game against Yuma Catholic (Yuma, AZ) by a score of 10-2. RESULTWin Varsity softball vs. Odyssey Institute. 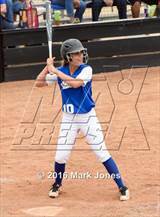 The Valley Christian varsity softball team won Tuesday's home conference game against Odyssey Institute (Buckeye, AZ) by a score of 18-1. RESULTWin Varsity softball vs. Horizon Honors. 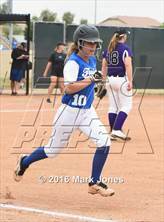 The Valley Christian varsity softball team won Friday's home conference game against rival school Horizon Honors (Phoenix, AZ) by a score of 16-1. 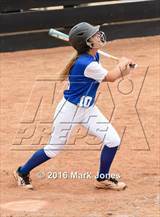 The Valley Christian varsity softball team won Wednesday's away non-conference game against Coronado (Scottsdale, AZ) by a score of 18-2. Amber's softball stats have been updated for the win @ Bourgade Catholic. The Valley Christian varsity softball team won Tuesday's away conference game against Bourgade Catholic (Phoenix, AZ) by a score of 16-4. 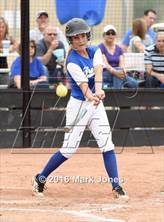 Amber's softball stats have been updated for the loss @ Northwest Christian. RESULTLoss Varsity softball @ Northwest Christian. The Valley Christian varsity softball team lost Wednesday's away non-conference game against Northwest Christian (Phoenix, AZ) by a score of 11-1. 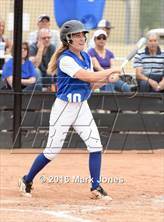 Amber's softball stats have been updated for the loss @ Scottsdale Christian Academy. The Valley Christian varsity softball team lost Monday's away non-conference game against Scottsdale Christian Academy (Phoenix, AZ) by a score of 11-4. 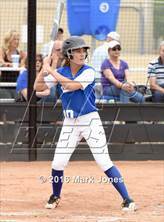 Amber's softball stats have been updated for the loss vs. Pusch Ridge Christian Academy. RESULTLoss Varsity softball vs. PRCA. The Valley Christian varsity softball team lost Tuesday's home non-conference game against Pusch Ridge Christian Academy (Tucson, AZ) by a score of 19-2.